For sometimes now, Channels TV has really been a model for other TV stations in Nigeria. They can be said to be the CNN, Aljazeera of Nigeria. 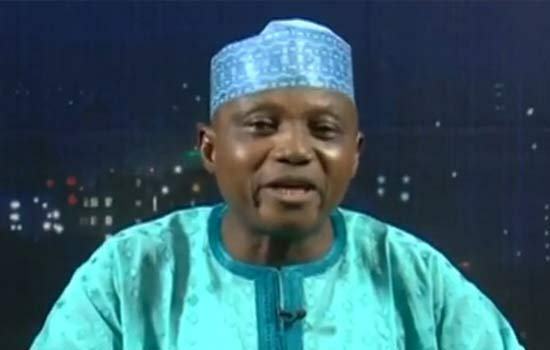 It was disappointing for me then, to watch the Garba Shehu interview with Maupe Ogun. The man was literally allowed to get away with galloping lies and unfounded allegations. He said that the Indigenous People of Biafra, IPOB, was staging road blocks and extorting money from the populace, that they printed a passport and declared a territory! Since the quintessential Sunrise Morning Crew did not deem it fit to grill him adequately for posterity sake, probably the print media should help mis-abuse the minds of the people over such claims. The MASSOB under Chief Raphael Uwazurike was alleged to have created passports which the IPOB leader, Nnamdi Kanu debunked its worth during his days of broadcast on Radio Biafra. What evidence does the Senior Special Assistant to the President on Media, Garba Shehu have to prove that the so-called passports were printed and issued at the behest of the Nnamdi Kanu-led IPOB? He also talked about the printing of Biafran currency! With all due respect, this is a display of sheer ignorance or clear-cut mischief. So, because some Biafrans decided to display a relic from the past, a relic that inspires a great future nevertheless, it’s now akin to printing of currency by the IPOB? One thing should be made clear to all conservative One ‘Nigerianists’; there was a country, there was a sovereign state of Biafra, there was a sovereign map with its flag, coat of arms and anthem, there was a recognition of Biafra by the sovereign nations of Ivory Coast, Zambia, Tanzania and Gabon. The Biafran agitation today, is not a secessionist struggle per se but more of a restoration of a country that has been under occupation in the last 47 years, a nation whose its sovereignty and independence was forcefully impugned and violated by external forces. Where is the pictorial or video evidences showing IPOB members mounting road blocks and extorting money from the populace? They actually expect the world to believe these kind of cheap lies without tendering an evidence to corroborate their claims? The same government that told us the President cannot work from his office due to rats’ occupation, a government whose army denied raiding Kanu’s residence despite video and pictorial evidences saying otherwise! How can the IPOB declare a territory and still demand for a referendum to determine the people’s choice? That does not rhyme with the Boko Haram terrorist group that declared a territory and immediately started defending it against the Nigerian State in a manner that saw all "Pythons" leave the forest, it does not tally either with the pattern used by Kevin Baugh in the declaration of his Republic of Molossia; a micro nation within Nevada, USA. IPOB has called for a peaceful and democratic referendum to ensure that those in the proposed map of Biafra really wish to be citizens of a sovereign republic outside Nigeria; this is what the Scottish, Catalonians, Iraqi Kurds, and the Quebec people did. Garba Shehu and folks like him must understand that we no longer live in the era of Emperors and sovereign Kings, and the time of the remaining dictators of the world is fleeting. People must decide on how to live, co-habitation is not by force and internal colonialism in the name of keeping a country one, at all cost cannot be tolerated much longer. It did not end with the SSA on Media to the president, the legendary Minister of Information, Alhaji Lai Mohammed, had to throw his weight behind the surge of calumny against IPOB and the Biafran restoration project. The Minister who is now famous for his unending litany of pseudo statements; said that no country would have tolerated IPOB. Though self-determination groups around civilized democracies of the world have occasional fracas with the Central government, be it in Barcelona, Edinburgh or elsewhere, only the few so-called ‘democracies’ like Nigeria and perhaps Cameroon, would suppress peaceful revolutionary movements like IPOB the way they have been manhandled so far, and for what? For only demanding their right to freedom of speech, assembly and political association. Most Self-determination movements in Africa for example, has a militant arm to contain the excesses of the government’s security forces. From the ANC of Nelson Mandela during the apartheld era to the Sahrawi people of Morroco seeking a Sahrawi Arab Democratic Republic(Militant group- Sahrawi People’s Liberation Army), to the Lozis of Zambia seeking Independent Barotse land(Militant group; Barotse Patriotic Front), to the Oromia people of Ethiopia(Militant group- Conference of Oromiya People Liberation Front). In all these scenarios, they seek independence but they have a militant group to ensure that their Central government’s police, army, etc, do not get away with the killing of their people during peaceful rallies. In Nigeria however, IPOB loses her members from rally to rally to the military and other security forces. They are being shot at unprovoked, as documented even by the Amnesty International. If marching on the streets unarmed, educating its people on the need to boycott elections; if forming a Biafra vigilante service whose members are not armed; if pelting military armoured tanks with stones in reaction to seeing fellow Biafrans killed for no reason; amounts to armed struggle and terrorism, then humanity is doomed. On the funding of IPOB, it is not a rocket science that members will support financially, in order to sustain its diverse means of mass communication, to sustain families of those the Nigerian Armed Forces have killed so far, to support the medical needs of those surviving gunshots, acid burns. The account in Paris isn’t a secret; as the movement isn’t an underground association after all. One would expect the Nigerian State to uncover the financial chest and sponsors of the Boko Haram sect and AK 47 wielding Fulani herdmen, but alas, there goes the priority list of the Danfodiyo Estate. They kept telling Africans they were inferior to all Whites and we believed it, likewise, Nigeria keeps saying that we are a federal state and many believed it, the Nigerian constitution begins with the line; "We the people," and many believed it. The point is, tell a lie continuously for a long time, and it might be believed by many as the truth. In this era of social media, where government no longer controls what we should know as a people, falsehoods must be sought out and uprooted with facts and irrefutable evidence. In that light, many will argue that the proscription of IPOB due to reasons cited by the Nigerian state, will not hold water in a competent court of law had IPOB being given a chance to defend itself.